Visit a real live archaeological dig at the Knowe of Swandro in Rousay where archaeologists are racing against time to excavate the 5000-year-old Neolithic chambered tomb before it is destroyed by the sea. Open from Sunday to Thursday (sometimes on Fridays and Saturdays too) from mid-June to early August. We welcome visitors at any time when we're on site, with free entry, free site tours and free open days and special events. Please see our website for more information, up-to-date details of our dig dates and special events, and how to find us in Rousay. Any queries please just email us. The archaeological site at the Knowe of Swandro, in the island of Rousay, is being destroyed by coastal erosion. The site includes a 5,000-year-old Neolithic (New Stone Age) chambered tomb and a large settlement occupied from around 1000BC to AD1200 consisting of Iron Age roundhouses, Pictish buildings (including a smithy, where one of the stone anvils preserved 1,500-year-old the hand and knee prints of the Pictish metalworker), together with Viking and Norse remains. Our immediate priority is the completion of the rescue excavation of the chambered tomb, where the main burial chamber, currently intact, is likely to hold 5,000-year-old human remains. The outer walls of the tomb have been destroyed and limited time remains before the sea reaches the burial chamber itself. Of particular urgency is the need to recover the human remains from the burial chamber before they are swept away by the sea, both out of respect for our ancestors and in the interests of public decency, but also for the potential they have to shed new light on Neolithic burial practices and the lifestyles of the people of Orkney 5,000 years ago, including valuable information relating to diet, health and the origins of Orkney's Neolithic farmers. Once the chambered tomb has been excavated then we hope that further seasons of excavation will, subject to funding, focus on the Pictish, Viking and Norse buildings and underlying Iron Age settlement, before their inevitable destruction by the sea. The excavation will also lead to an understanding of the effects of the tidal and storm damage on the site, to enhance future management strategies for this and other coastal erosion sites. The digital and 3-D recording of the site provides a legacy for future research and a local resource, for example as online information and as displays in the Rousay Heritage Centre. 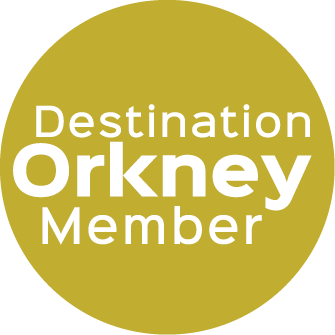 The Swandro-Orkney Coastal Archaeology Trust is a registered Scottish Charity (No:SC047002) formed in November 2016 to respond to the destruction of Orkney’s archaeological sites by the sea. Orkney is a group of around 70 islands with a land mass of only 975km2 but over 980 km of coastline, with many archaeological sites situated on the foreshore and subject to ongoing coastal erosion. Global warming, the effects of climate change and melting polar ice are promoting higher sea levels and changing weather systems with increased storminess, which is exacerbating an existing problem. Our current priority is the rescue excavation of the archaeological site at the Knowe of Swandro and we are focussing our fundraising efforts on this site. Open From June - August.